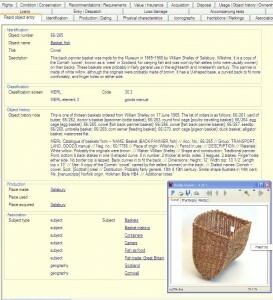 You are currently browsing articles tagged British Council. It’s all about the curling! MERL 50/563/1-2. Our very own curling stones, made by the same company as those used in the Winter Olympics. Curling is in the spotlight today – Great Britain will play Canada in the men’s Winter Olympic final in Sochi this afternoon. And this morning there was an interview on Radio 4’s Today programme with the Managing Director of Kays, a family firm in Scotland which has been making curling stones since 1851 (you can listen on BBC iplayer here at 2:41:00). 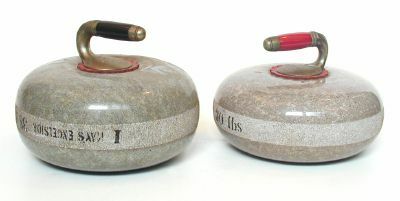 We have two curling stones at MERL made by Kays (MERL 60/563/1-2), acquired from the British Council in 1960. Kays make all of the curling stones for the Olympics. The stones are made from granite from Ailsa Craig, an uninhabited island off the coast of Ayrshire. I learnt this morning from the interview that they are made from two types of Ailsa Craig granite – common green is used for the body of the stone because of its insulating properties, keeping the running edge cool; while blue hone is used around the edge. The two stones at MERL are marked ‘No. 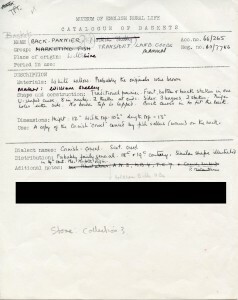 1’, weighing 30lbs, and ‘No.2’, weighing 38lbs. Curling became an Olympic sport in 1998, and transformed the fortunes over the firm. In 1998 there were only 25 countries involved in the sport, but today that figure has nearly doubled. Kays produces 1200–1500 new stones every year, and also repair and upgrade existing stones. And the stones aren’t the only curling-related material we have at MERL. 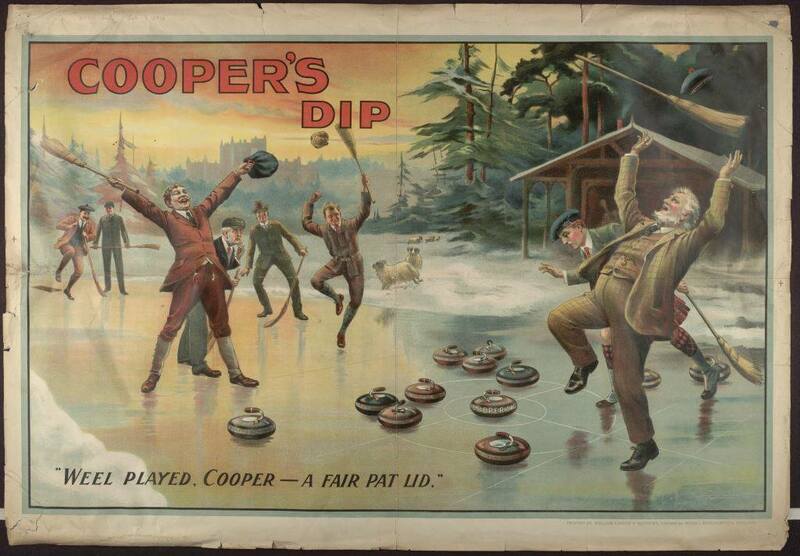 We’ve also got a wonderful advert for Cooper’s Dip showing men in tweed dancing in delight as they celebrate a curling victory. 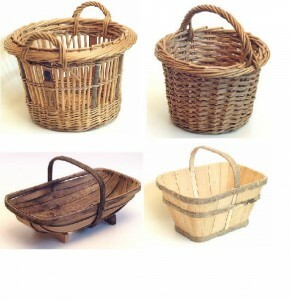 Let’s hope that’s what Team GB will be doing later today (although without the tweed!). Let’s hope it’s victory like this for Team GB this afternoon!